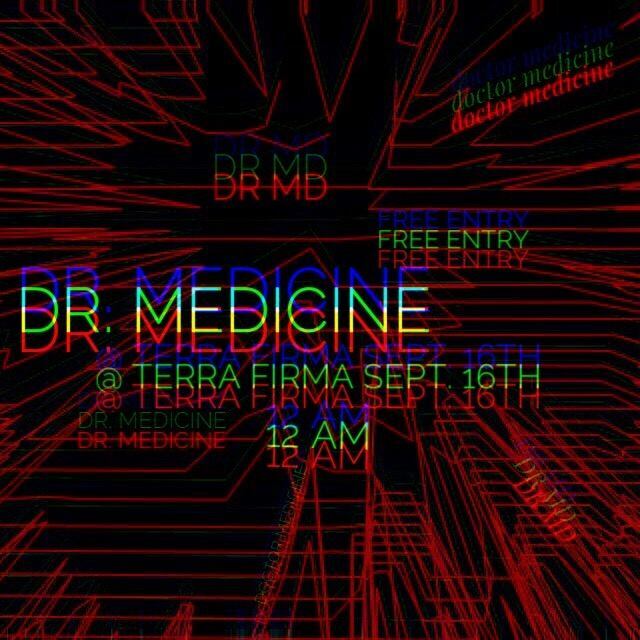 Based in NYC, Dr. Medicine focuses on a blend of alternative music inspired by R&B, Hard Rock and Trip Hop. Utilizing singer Maya Holliday's unique crooning persona and their menacing, three-piece grooves, Dr. MD enjoy themselves on stage with Cheshire Cat Grins. The band consists of Maya Holliday (vocals), Tyler Reid (drums), Dakota Scholz (bass), Zac Wood (guitar). Your first taste of the new Dr. Medicine in a compact EP, aptly named 3 in the Chamber. Urban, but not pedestrian. We’d like to thank George Musa, Jason Samonik and Sienna Prater for helping make this project possible. Now available on Spotify, Apple Music and Bandcamp with free downloads until 8/12. See you at Gold Sounds 8/9. Enjoy.